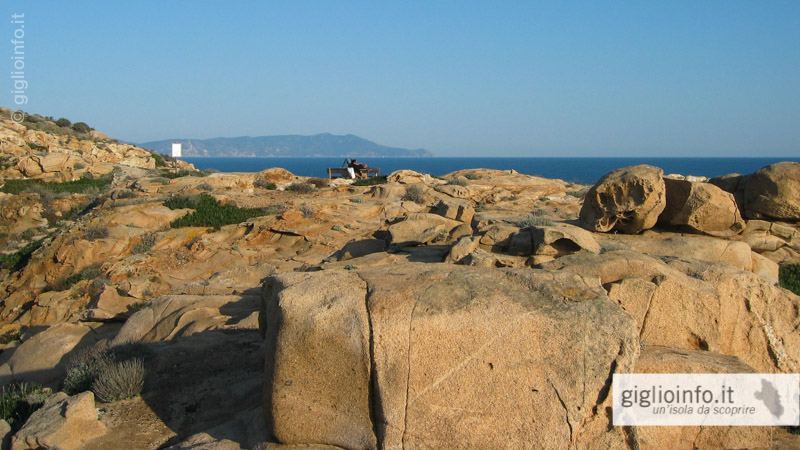 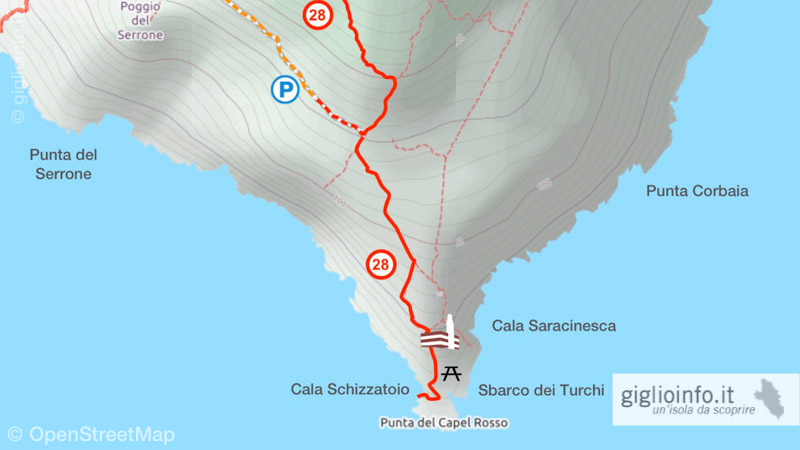 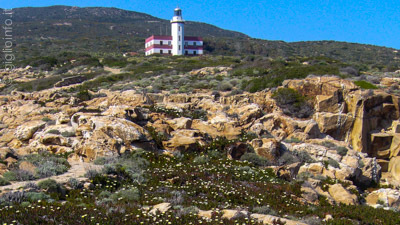 The option to walk only the last section of the trail 28 allows you to reach one of the most isolated and impressive place on the island of Giglo, the southern tip Punta del Capel Rosso, by an easy walk. 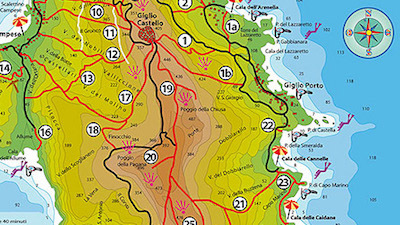 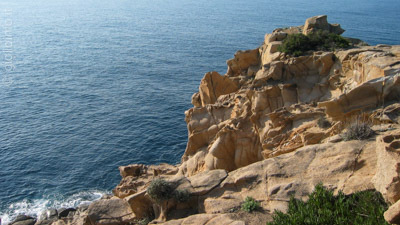 From the Piazzia Gloriosa in Giglio Castello, take the beautiful panoramic road south (6.3 km, 15 minutes), at the end of which the trail 28a begins. 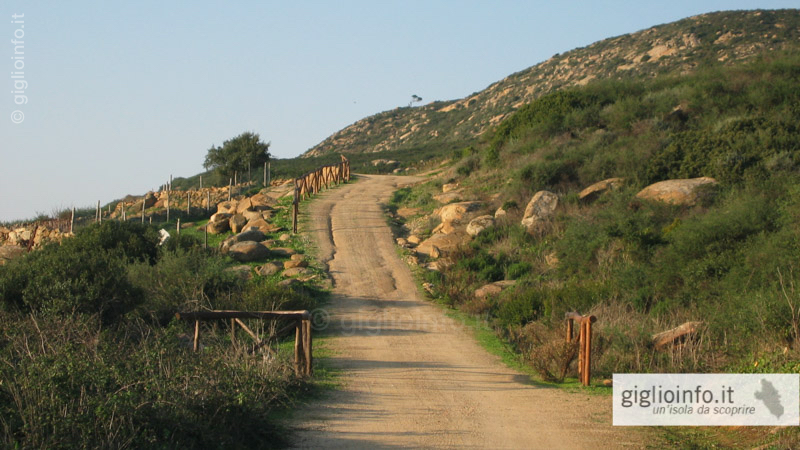 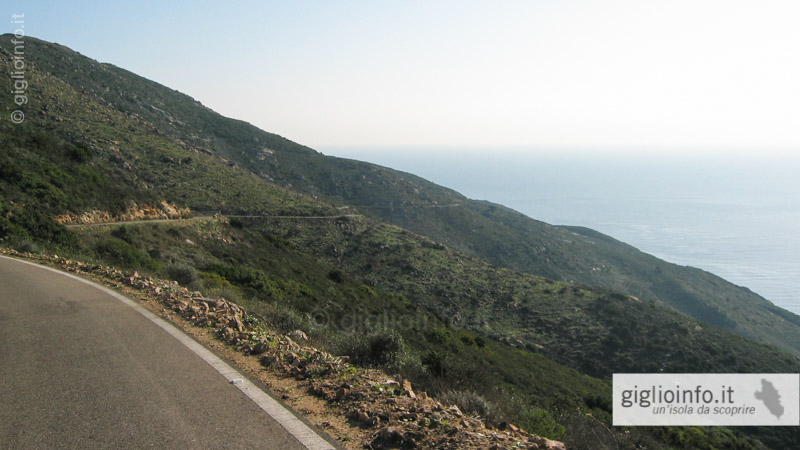 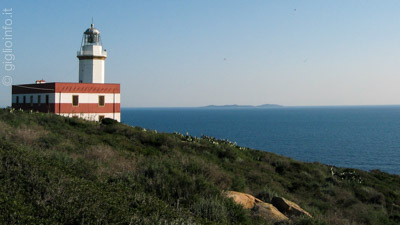 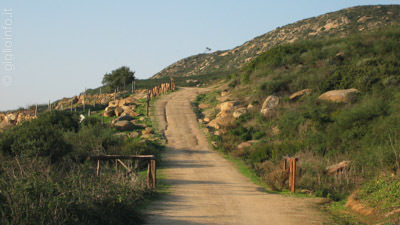 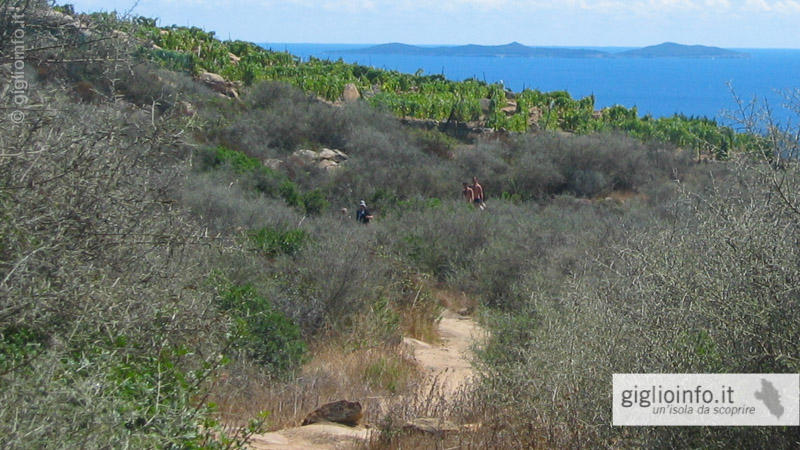 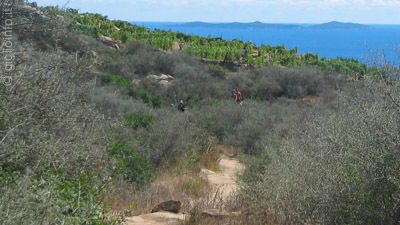 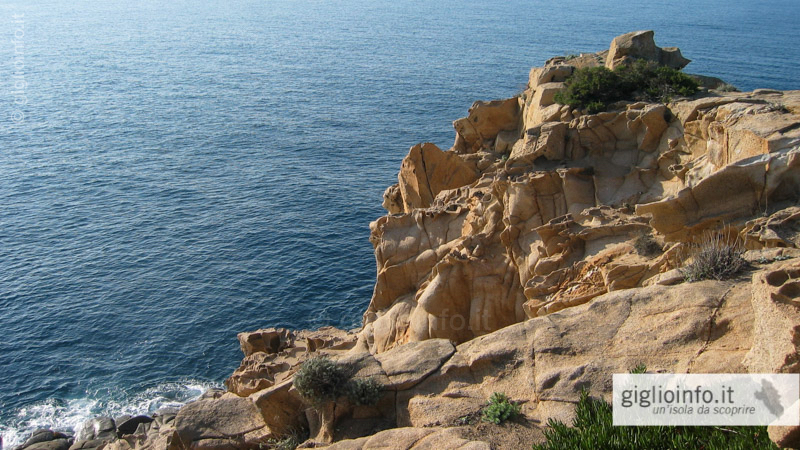 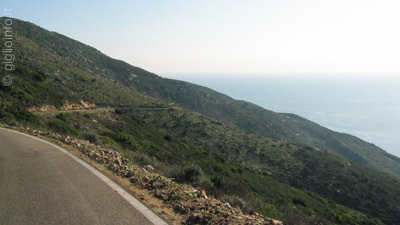 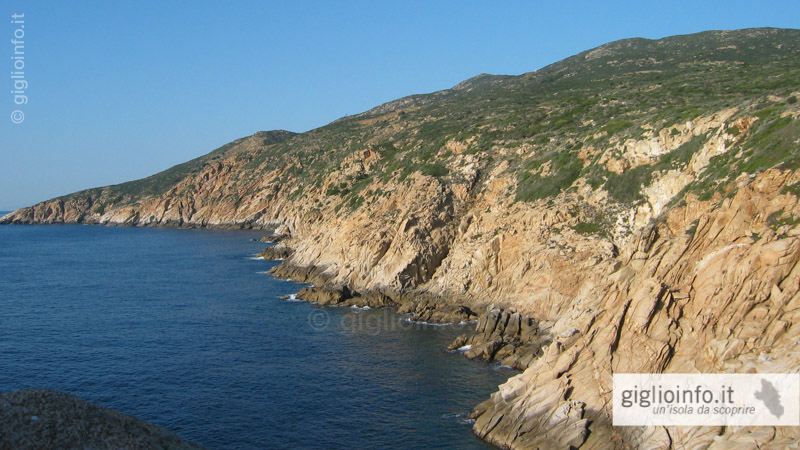 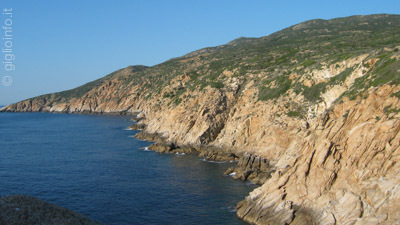 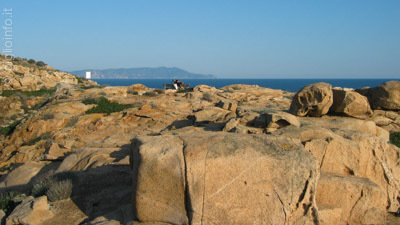 From there, the path slowly descends towards the southern tip surrounded by the typical Mediterranean scrub. 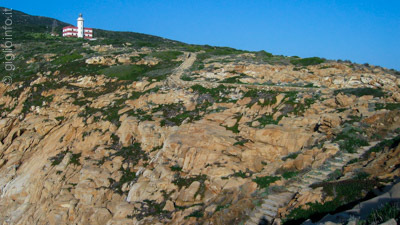 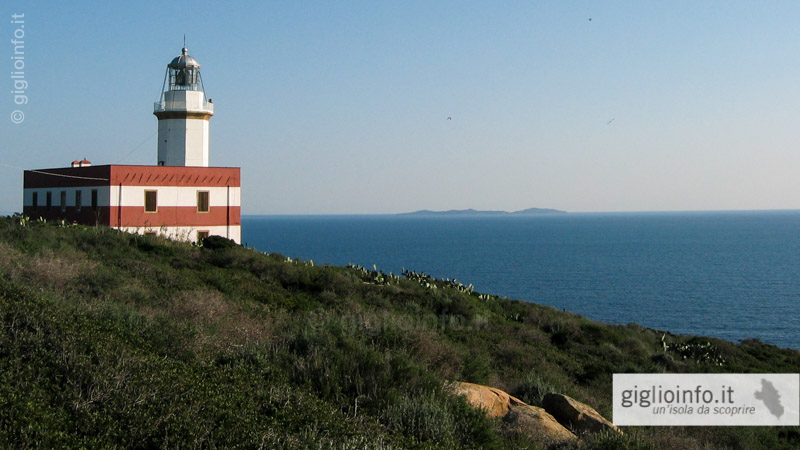 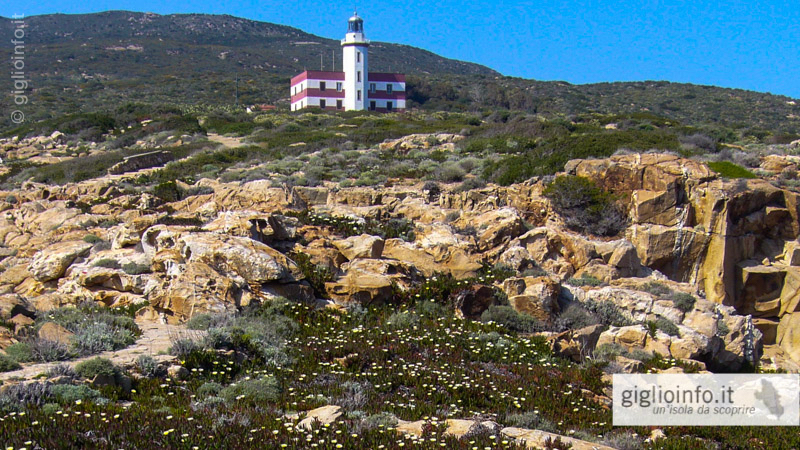 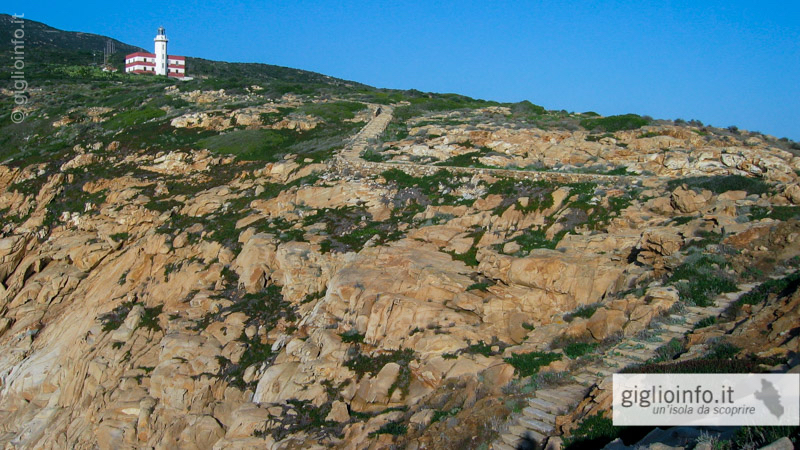 Once at the lighthouse Faro del Capel Rosso, a staircase leads down to the sea where you can go for a swim.